I went on my first lunch hour (actually it was more like a lunch 15 minute) walk in ages. 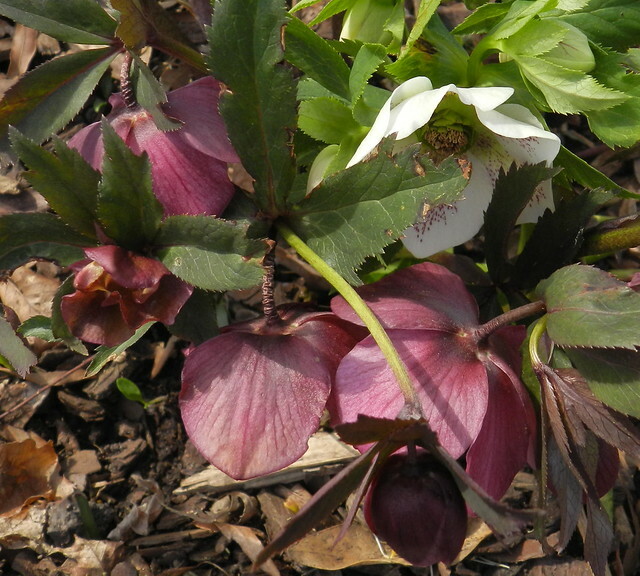 I assumed if any flowers were blooming they would all be bowed down like the hellebore above and below. 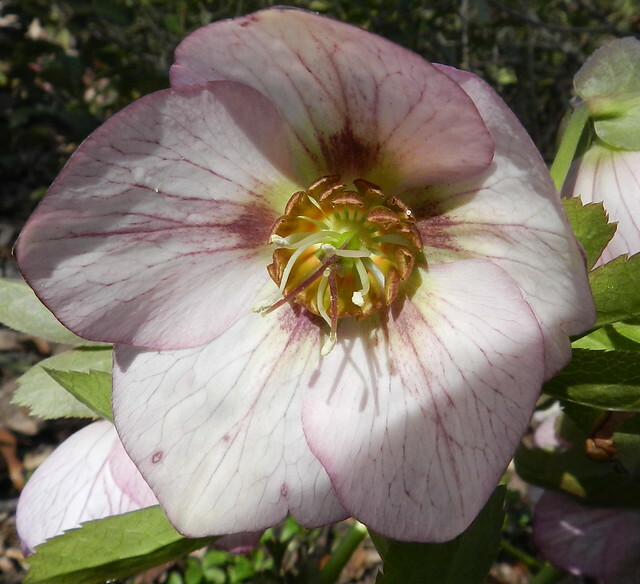 I was pleasantly surprised to find one blossom open and not bent by weather. Crocuses are a favorite early spring flower of mine. 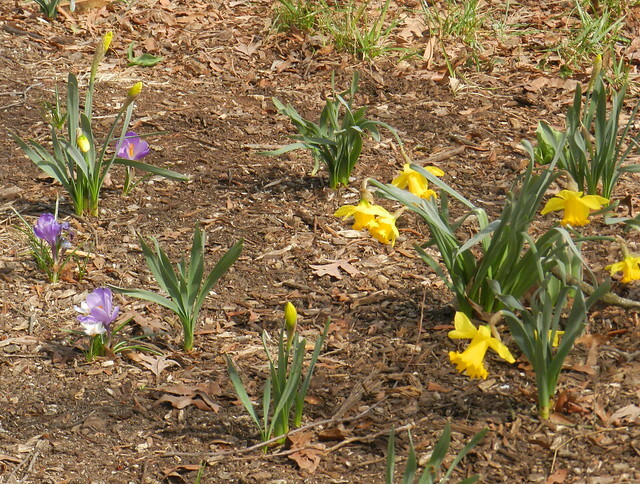 Sparse clusters of daffodils are blooming with the crocuses. This time of the year I take pictures the minute I see flowers because by the next day they may be beat down by rain or even snow, although the further into March we go the less likely we are to have more snow. That said, some years when we haven't had any snow all winter we have had several March snows but usually those are bit wet flakes that don't last long. 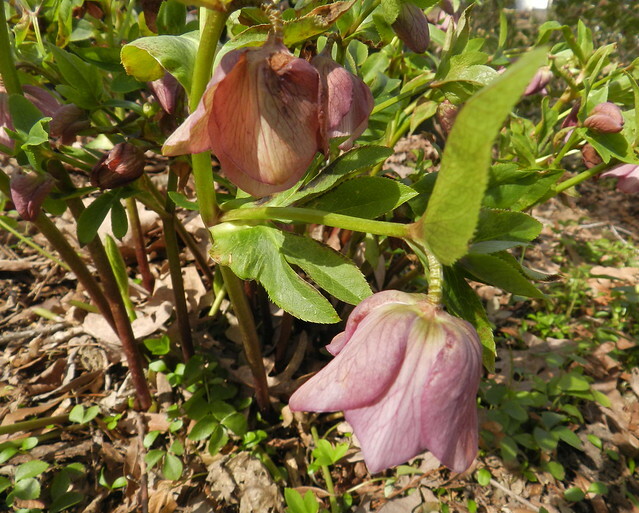 Harder on the spring flowers are when we get extreme dips into extra low temperatures. What I really hate to see are trees that start leafing out on warm days and they lose the first round of leaves to bitter cold nights. 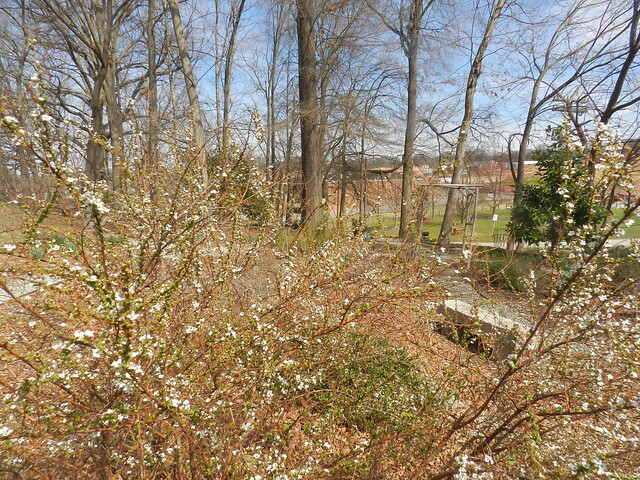 Spring flowers are less of an issue because there are plenty to pick up and bloom when early ones don't last long. I take it a day at a time and enjoy what flowers I see for however long they last. UPDATE - I posted this for Today's Flowers before I saw at the home site that there would be a two week break prior to the host continuing with this fun weekly photographic activity. I'm leaving my post up but removed the link and Today's Flowers from the title. Flowers are always welcome, linked or not. Especially spring ones for me and you already know why! I do remember daffodils coming out for about two seconds sometimes in Oregon just before a hard rain knocked them flat. Hated that. 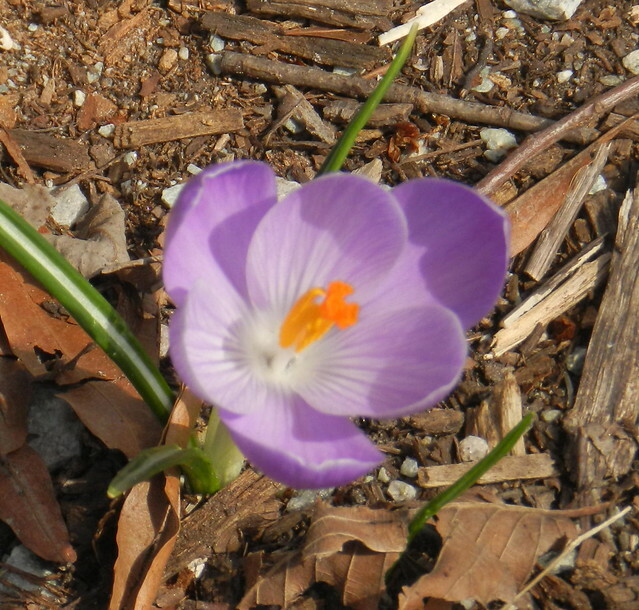 The crocus is so wonderful; can't remember when I last saw one for real.